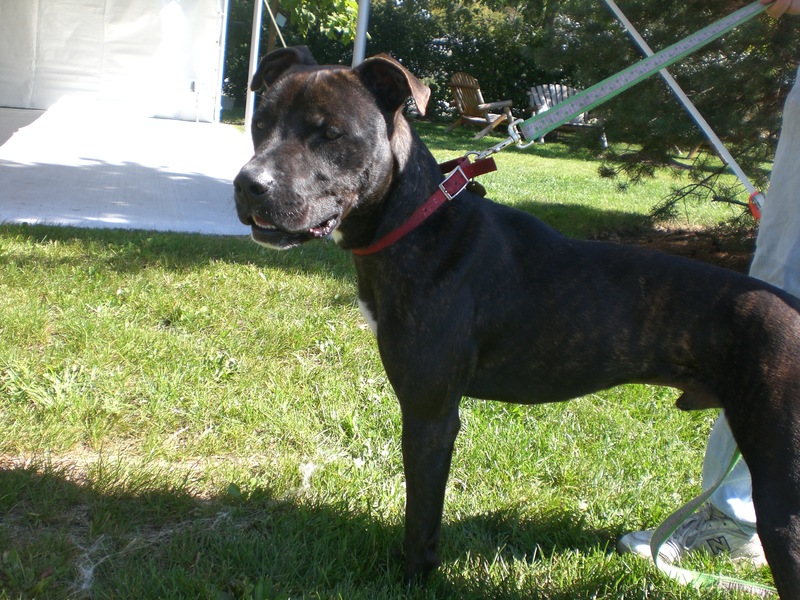 When Duke the three-year-old Pit Bull Terrier mix first arrived at Orphans of the Storm® a few months ago, I thought he was one of the most handsome dogs there–and he still is! When Duke is inside his kennel, he will look at you longingly as you pass because he is so ready for someone to take him home. Duke absolutely loves to go for walks and be outside. He is a very, very strong boy, though, so be prepared when you first take him out. After the initial excitement of being outside wears off, Duke is a good walking buddy. In a home where he knows he will be getting regular walks, he probably won’t be quite so excitable at the beginning of each outing. 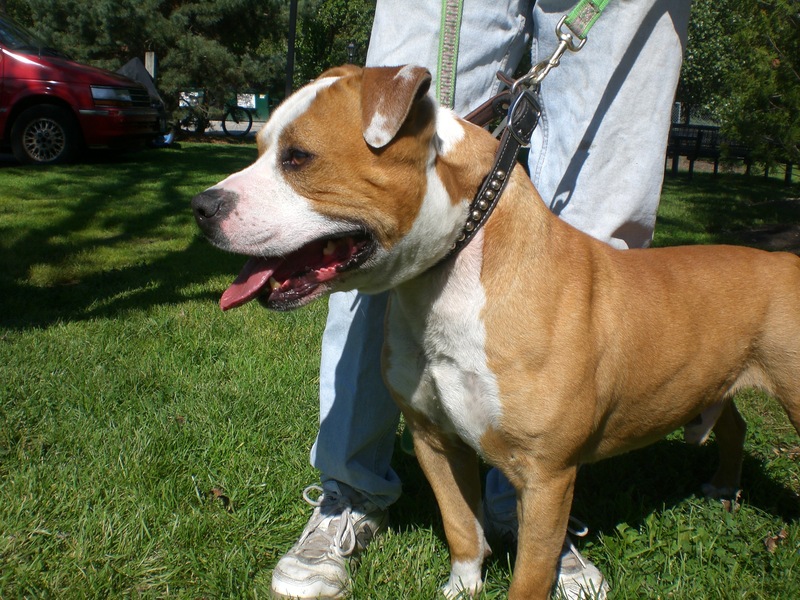 If you’re looking for a big, handsome boy to walk with you around the neighborhood, Duke might just be the dog for you! Karma the one-year-old Pit Bull Terrier mix doesn’t particularly want to spend his younger years at the shelter. Now would be a great time for him to get into a home and get that socialization that all dogs need. Even though he’s young, Karma already knows some basic commands like “Sit” and would be happy to learn even more tricks for his new owner. For a pooch who just finished his puppy stage, Karma is a very calm dog and does well on the leash. He can also do well with other dogs. And who can resist that sweet face and big head of his? Karma is eagerly awaiting his new forever home. Bring some good karma his way by adopting him, and you will be rewarded with a wonderful companion! 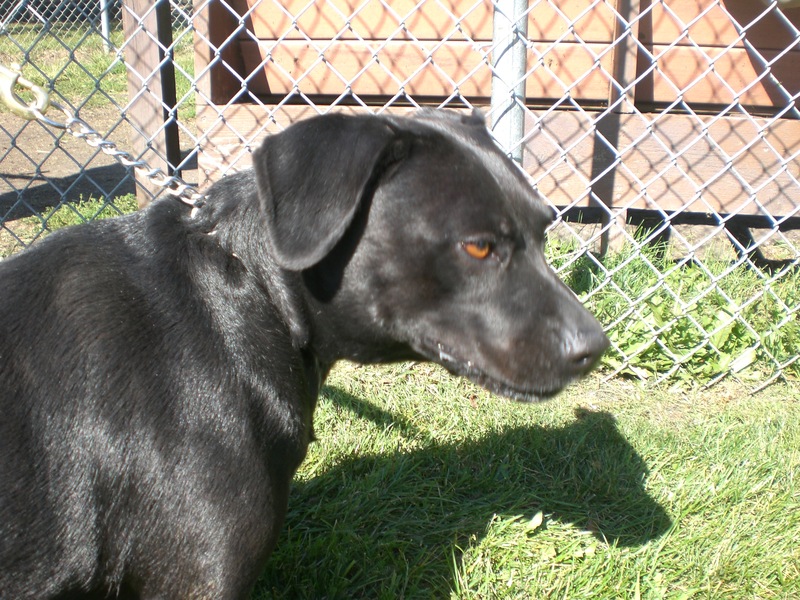 If you love Labrador Retrievers but are looking for something a little smaller, you’d probably be very interested in meeting Daphne the two-year-old black Labrador Retriever mix. 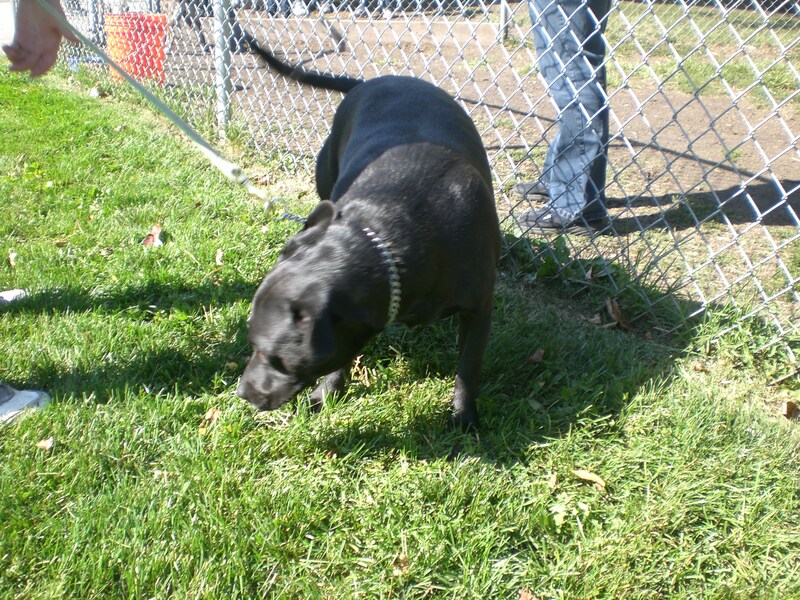 Even though she’s small, you can definitely tell that she has some Lab in her because she is such a friendly girl! She wants to say hello to all other people and dogs she comes across, and does so with a wagging tail. Being part Lab, Daphne is intelligent and eager to please, which makes a great combination. Who wouldn’t be happy coming home to her cute face and wagging tail every day? 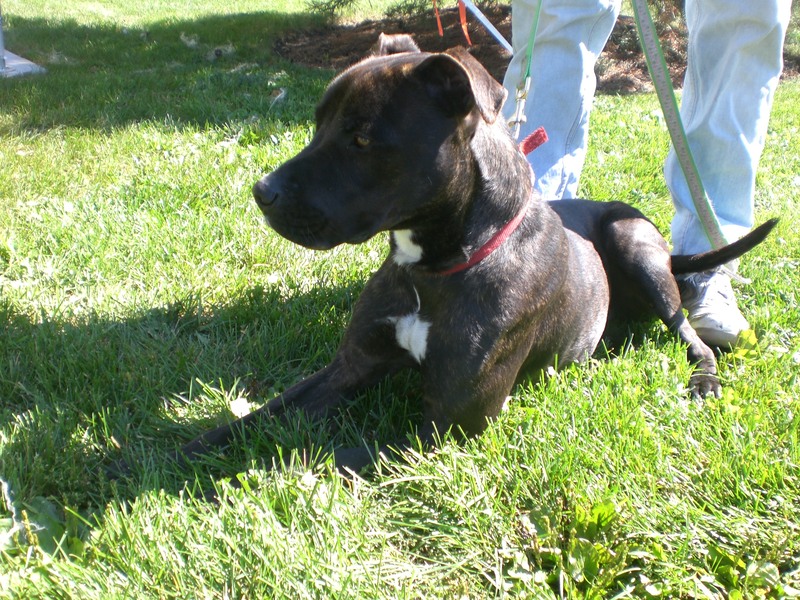 Stop by the shelter and make sure to say hello to Daphne! 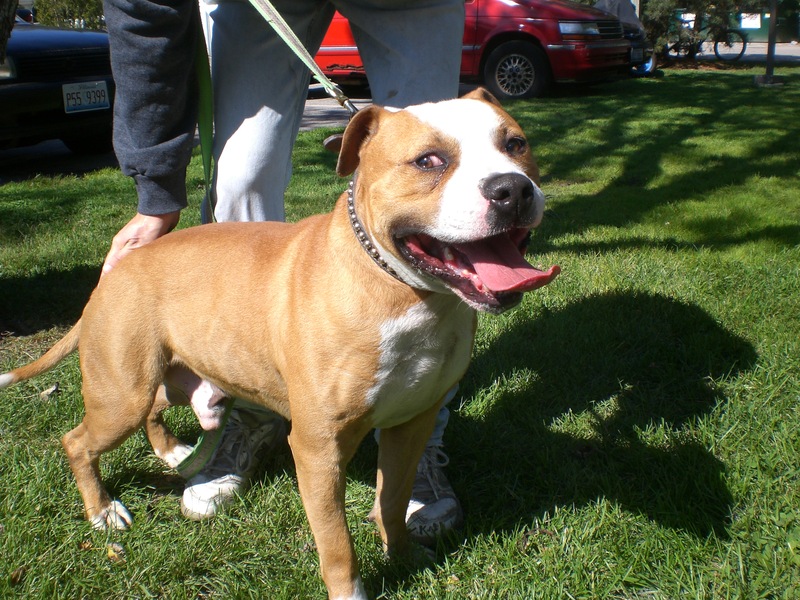 Posted by Meet the Pooches on October 5, 2012 in Dog Profiles and tagged adoption, animal shelter, Chicago, dogs, Labrador Retriever, Orphans of the Storm, pets, Pit Bull Terrier.